T-Max rapper and newbie actor Kim Joon (whom you may recall as the “Yo-yo-yo!” bro from Boys Before Flowers) is joining the cast of Serious Crime Squad, the cop drama starring Kim Seung-woo and Song Il-kook. With such big names at the top, I’m betting the still-very-unpolished Kim Joon will have a smallish supporting role, but I do love his character description: a cowardly cop. Ha! Bring it on. Kim Joon’s character is Shin Dong-jin, specializing in cyber-crime investigation. He excels in his field but has an innately timid and fearful personality; the sight of a corpse tends to make him faint, which is, unsurprisingly enough, frowned upon by his colleagues. As such, he’s described as a unique character who’s rather unpredictable. I do think Kim Joon has a long way to go in terms of acting skill — he really benefited in Boys Before Flowers by being allowed to act as eye candy without having much to do dramatically — but I can’t deny he’s got personal charm. I can see him playing a comic, quirky character much better than one that’s dependent upon a solid dramatic performance, so I hope this role suits him. Sunwoo Sun has also been cast, and for a relative latecomer to the acting scene, she’s proven to be pretty strong with roles as a spoiled chaebol in Queen of Housewives and a spoiled chaebol in Will It Snow For Christmas. Okay, that makes her sound limited in range, but her two characters were pretty disparate in personality, and I think she’d make a kickass cop. Joining her as the other female lead amongst a mostly-male cast is Park Sun-young, who played the feisty (and rabbit-toothed, lol) lawyer in Sons of Sol Pharmacy. Serious Crime Squad will follow Dream High on Mondays and Tuesdays, and premieres on February 28. Sounds interesting. I like the casting so far. Cejitas! I love this guy's eyebrows. I agree, he has charm and the character sounds fun, so despite his lack of acting skills, he could do a good job. Omo, I thought I was the only one! I was worried when he went blonde but in the end it only made them stand out more. rawr. Hispanic? I don't know that many hispanics that love Kdrama and the such so it's awesome to read your "cejitas!" comment lol. Sooo excited for him. He needs more opportunities to spread his wings and season himself. Cuz I think he could grow to be a pretty decent actor. I'm Mexican and I friggin LOVE Kdramas and Kpop. I'm half-Mexican I love me some KDRAMAs too. at last! been waiting for him to do some other dramas. YAY! I always felt like he had potential, but BOF really wasn't the drama to show his skills... Let's see what he can do with this one. FIGHTING, oppa! YAY im excited i love Kim Joon believe it or not out of every guy in BOF Kim Joon was my favourite! Aw, I missed Woo Bin! If only I had even the slightest interest in cop shows... unfortunately, I do not. So I guess I'll keep missing him. it was about time!!! i seriously missed him! Yesyesyesyesyes!! Oh man, I love this boy (and his eyebrows). It's a shame I have zero interest in this show. :/ Maybe if it turns out to be more like NCIS than Law & Order. Oh well, we'll see. LOL! I loved his random English in the first 10 or so episodes of BBF that I watched. Kim Joon looked smashing in the pics from his Andre Kim runway stint. But thats not KJs fault, BOF was a hot mess I lapped up! Heh. He's very likable. Hope he does great. 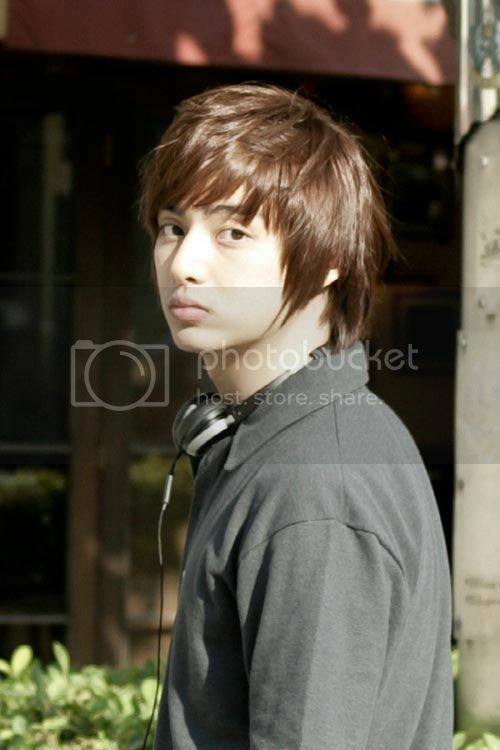 I like Kim Joon!I am from Singapore and Boys over Flowers is airing here in Singapore now.Kim Joon's quite charming! He was actually my Fav in BBF. He is a charming guy and very good looking. Wishing him the best. P.S I am one of those who thought BBF was a crap and i was watching Cain and Abel when it was airing. "whom you may recall as the “Yo-yo-yo!” bro from Boys Before Flowers)" ---- LOLed at this! 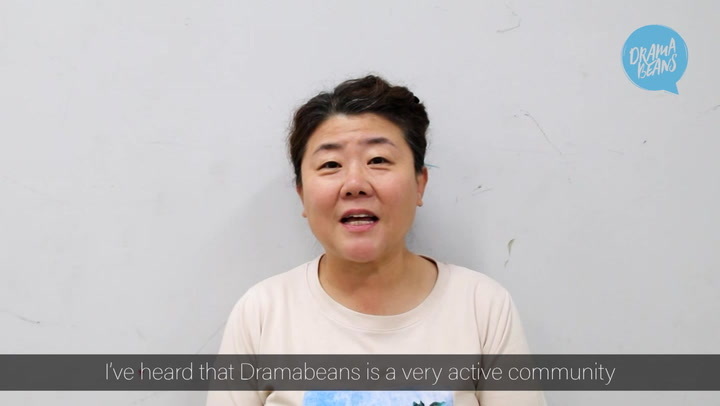 I don't keep up with south korean news (except for k-entertainment news) and would be interested to see some of the cases that comes up in south korea. Hmmmm.... I don't usually watch Cop dramas, but if Kim Joon's in it, I'll give it a shot. How many episodes are there? I'm loving the casting, minus Song Il Gook. Its funny how similar genres/story lines always come in pairs as with President and Daemul, Revenge of the Gumiho and My girlfriend is a gumiho, and now this and Poseidon. Kim Joon, what took you so long, sweety??? I was even starting to miss your engrish. waah, been waiting for his acting comeback like, forever. i'm glad somebody gives him chance. though, so far, the only role i've ever seen him is just that 'minor flower' in bof, i can see that he has potential. or maybe i was just blinded by his charm. anyway, can't wait for his performance on this. He's back, although his role was somewhat small in BOF he showed potential. I look on this drama as school for him as he will be acting with some experienced/veteran actors/actresses therefore allowing him a chance to improve his skills. Hope the drama is enjoyable. Am dominican And I looove him too! love Korean culture. the comparitively small part that he had in BOF. fill-in, emergency F4 special talk show? I think that this boy is.....WAY TALENTED. "Yo, yo, mah bro" memorable and very funny. Playing the part now, of a weenie cop?